The news that T-Bones on the Lake has sold came to many as a shock. 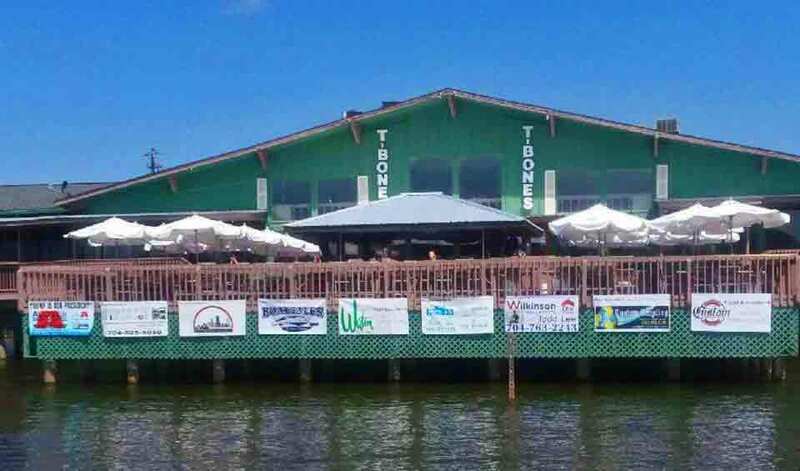 T-Bones has been a staple on Lake Wylie for 24 years. Before it was the Hungry Fisherman which was also around for 24 years. Locals on social media seem really torn about the sale. Some are sad and some are excited for whats to come. Personally, I loved T-Bones. The drinks were strong and cheap. I didn’t go for the food. You ALWAYS saw someone you knew out on the deck. First, some background on the buyer… The Bottle Cap Group are experts at managing restaurant and bars. Literally, I could not think of a better suited buyer to take over the struggling restaurant. The Bottle Cap Group (BCG) owns and manages restaurants around Charlotte like All American Pub, Hot Taco, Whisky Warehouse, Brazwells, Rosemont and the uber popular Ink & Ivy. This is a huge list of all successful restaurants. On top of that, that list is JUST what they own in Charlotte. They have multiple locations in Greenville and a spot in Charleston SC. Their restaurant in Charleston SC is what peaks my interest. Located on Folly Beach, BCG owns and operates a restaurant bar called Snapper Jacks. If you know of it, you can automatically realize the similarities between it and what T-Bones could be. My prediction for 2019 is they will open the restaurant back up in or around April and be very similar if not exactly like Snapper Jacks. Check out Snapper Jacks website and see what I think T-Bones might turn out to be like. Their moto is “Come for the food, stay for the view”. Seems very fitting for this location as well wouldn’t you say? Further, I believe they will stick with some if not all of the same specials they run at the Folly Beach location. If it works there, I think it will work here. Lastly, I think they will keep the live music aspect T-Bones had as well. AS for hopes and dreams and less of a prediction… I hope and dream the new location can dredge and expand the docks on the lefthand side. This would drastically help with the bottleneck problem of pulling into T-Bones’ dock.